The era of foldable smartphones is here. Just a few days back, Samsung rolled ‘Galaxy Fold‘ at an Unpacked event in San Fransisco. If you are already excited, then you must have a look at Huawei Mate X. The new foldable phone is thinner, has a bigger screen, and folds flatter when compared to Galaxy Fold. It was formally announced at MWC 2019 in Barcelona. The foldable war is on! When I saw Samsung’s folding device I thought who else could do it better? But now the World’s second largest smartphone vendor had taken the lead. Here’s How It is the most promising Foldable phone yet? “The Company believes Huawei Mate X is the future of design and technology, which Samsung isn’t. 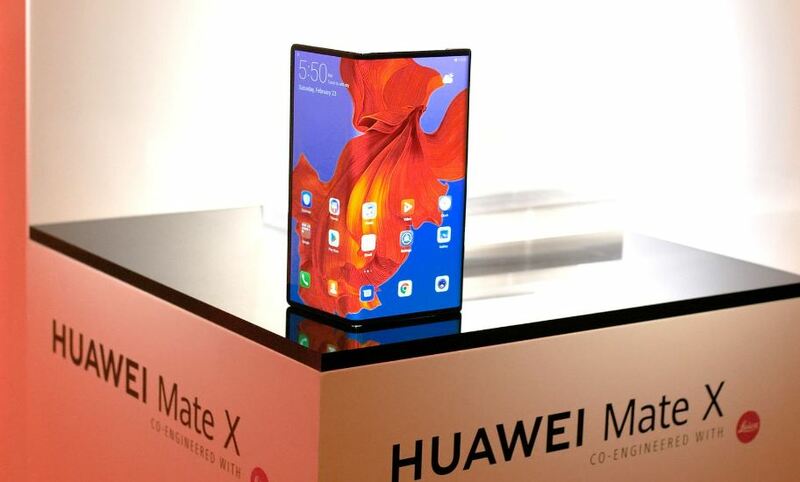 Furthermore, It is also calling it to be the World’s fastest foldable 5G device”. The Mate X uses the reverse method to combine the rear panel and the front into a uniform display, unlike Samsung’s Galaxy Fold which unfolds like a book. It has two OLED FullView Display panels on the outer body that help transform the hardware into an 8-inch tablet. When folded, you will have two display screens. The one on the rear can be used for clicking photos with a rear camera, or share what’s on your primary display with a person on the other side. The reverse concept enabled the Company to remove the notch. You will get a 6.6-inch OLED panel with a resolution of 2480 X 1148 on the front. It not only has a larger screen but a prettier looking display than its rival. In terms of optic features, the 5G Foldable phone comes with two-in-one front and rear camera setup that is powered by Leica optics. The setup includes three sensors, including a 40-MP (wide-angle lens), 16-MP (ultra-wide-angle lens), and an 8-MP sensor. The mirror shooting mode lets users show the preview of what they’re capturing to others with the help of rear display panel. Coming on to the specifications, the Huawei Mate X has a HiSilicon Kirin 980 SoC, coupled with 8GB RAM. There is also the Huawei Balong 5000 5G chipset that comes as the world’s first 7nm modem. The Company claims, the phone will be capable of supporting not just the initial NSA network architecture but also the SA architecture that would debut in the future. It has 512 GB storage on board which can further be expanded up to 256 GB via microSD. Same as Galaxy fold, Huawei uses two batteries in Mate X. The pack of batteries offers 4,500mAh of capacity. The power key on the side of the smartphone also houses a fingerprint sensor, which was missing in the Galaxy Fold. Do you find Galaxy Fold expensive? Oh well, then get yourself a chair to sit before seeing the price of Mate X. The super luxury device comes at a price of Rs 2,09,400 for the 8GB RAM/ 512GB storage variant. However, the device will be available for sale from Mid-2019. Next articleNokia 9 Pureview Uses Five Rear Cameras To Click A Shot, Seems Overkill?